Heartbreaking and moving. Getting into Jonah Whitecomb’s heart and mind is an intense and heartfelt experience, which gave me a deeper insight into his motivations, actions and emotions. Fans of the Fate series will love experiencing the most poignant moments through Jonah’s eyes. Just when life seems its bleakest, Jonah discovers that Chloe is real. Wanting to finally reach out and grab happiness for himself, he embarks on a journey to track down the girl of his dreams, only to find that happy endings aren’t always guaranteed, the best laid out plans can go horribly awry, and sometimes you have to simply let yourself go along for the ride. Jonah’s story. Oh how it broke my heart. This companion novella chronicles Jonah’s experience during portions of A Matter of Fate, giving us insight into his thoughts and his heart, which are so troubled, so full of misplaced guilt and responsibility. I thought I knew Jonah Whitecomb, but after this story, I felt like I understand him so much more. He’s incredibly private, holding all his emotions deep within… he’s an Emotional after all and what would people say if an Emotional couldn’t control his own emotions? Or at least that’s what his awful father has led him to believe. The story begins during the time where Jonah and Chloe no longer see each other in their dreams and we begin to understand the depression that Jonah falls into. Not only does he miss Chloe (and that is an understatement), but life as he knows it begins to fade as he continues to spiral and retreat into himself. When his father sends him to a seer and he discovers that Chloe, the girl of his dreams, the girl he’s undeniably in love with, is REAL… well, the feeling of elation is palpable. 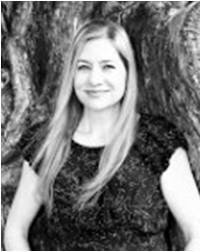 I felt my own heart soar as if I was discovering the news for the first time myself. Suddenly, on a high, we know that Jonah goes on a mission to find Chloe. His determination is fierce and unwavering, and now that he knows she’s out there somewhere, nothing will detain him. No one yet knows about Chloe. She’s the one thing he’s kept hidden. You see, Jonah has always defined himself as one half of a set, one half of the Whitecomb twins, and this is exactly why he kept Chloe a secret from Kellan. She was his and his only. During the lows and the highs Jonah experiences, we get to see just how close his relationship — his connection — is with Kellan, his twin brother. At the risk of sounding a bit cheesy, their relationship is a beautiful thing to behold. They are so supportive of each other, always there, literally and metaphorically, always having each other’s back. To see how close they are, and then to see that relationship crumble and break is simply crushing. We see the anger, the hurt, the confusion, the disbelief and the depression all turn into an unstoppable maelstrom of emotion that causes a fissure so deep within each of them that you fear is irreversible. During the time when the twins finally meet Chloe and Kellan and her are together, I felt so crushed and despondent. Looking at the whole situation from Jonah’s perspective is devastating. As more happens and things truly unravel, Jonah continues to keep everything inside, unable to find solace and support. Let me tell you that as one who has been Team Kellan… I got it. Color me confused now. Undecided. Heart at war. Torn. Gahhh!!! 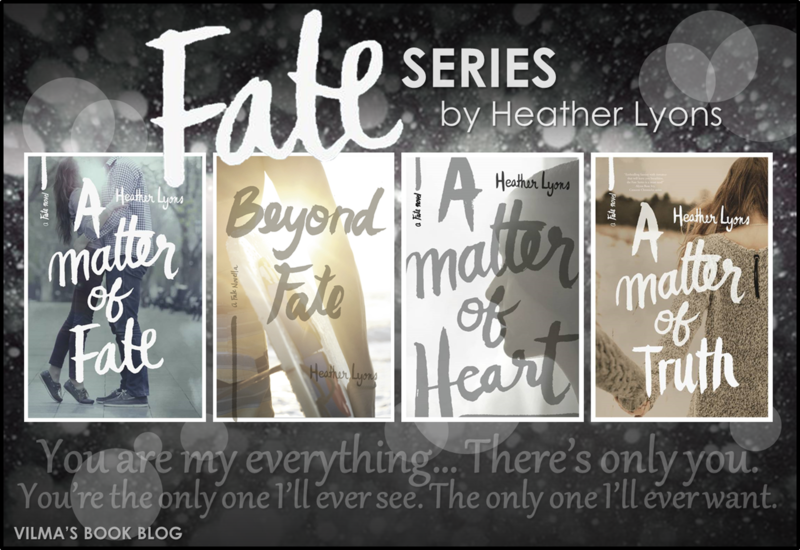 Heather Lyons is incredibly adept at stressing me out… this series may have me rocking back-and-forth in a corner by the end of the last book. 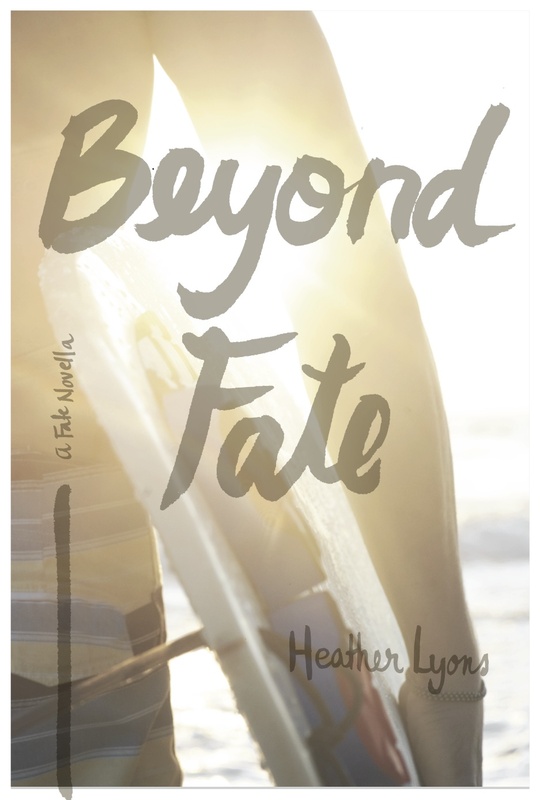 Beyond Fate is at true companion novel that tells the story through Jonah’s perspective… there is new material that we read through (since Chloe wasn’t there), but a lot of the material really is Jonah’s thoughts and feelings about what we know to happen. I should also note that A Matter of Fate is a lengthy novel, so we don’t experience every moment, but it is the significant moments we see, those that give us a new outlook. I didn’t feel it was a re-hash, because experiencing Jonah’s POV is intriguing, heartbreaking, captivating and unexpected. The book is intense, laden with heavy emotions that gripped me. Admittedly, I was in tears at the end. I thought releasing this novella prior to A Matter of Truth was a brilliant move because I felt I needed to experience another dimension of the situation. I can’t wait to see where the story will take us, my heart is bracing itself already! I haven’t read the series, yet. It is on my TBR pile. I haven’t read the series yet, but it’s on my TBR list! I don’t know who I’ll like better..I haven’t read them yet…but I love finding new authors (new to me anyways)!!! I have no read them yet but it has been added to my to-read list love love triangles so I cant wait! I haven’t read the series, but it’s on my TBR. I haven’t read it yet.Cant wait! I also am new to this series, I will definitely have to check it out now. Thanks for the post and the giveaway!